This is a real California Classic. The famous 3B Tree, dally horn, 20″ tapadaroes. The standard of the California Vaguero for 100 years. 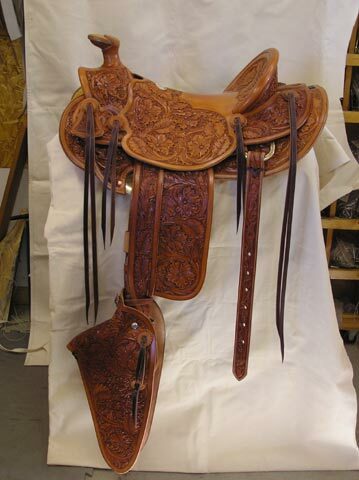 The Wild Rose Stamping on this saddle sets it off, like the ones the Miller and Lux Buckaroos rode a century before.